Tired garden needs a fresh look!! Arnaud totally inspired us with his innovated ideas and fresh new theme. His knowledge and enthusiasm is refreshing. No problem is too difficult. We are delighted with what has evolved and the walk through the garden to the front door is now a joyful experience. The Branche maintenance team are a huge help and a joy to have around. 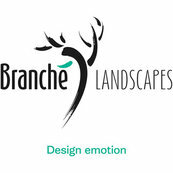 Over all we would highly recommend Arnaud and his team for any garden landscaping design work. We have rated the Branche team very highly as they deserve it.